For performance tyres in Auckland, come see Tyre Girl! If you’re searching for good quality performance tyres in Auckland then Tyre Girl can help! If you need advice about tyres then give us a call. There are a few things you need to think about before buying performance tyres. First of all, do you really need them? It may seem like a silly question, but you should look at your tyres before shopping for new ones. Take a look at the treads- are they wore down? Time for a new set of tyres. Even if they look fine, if they’ve been on the car for over a decade, then you should change them. If you come see us, we can check the alignment of your car. This way, we can check your suspension and make sure that your tyres are evenly spread. 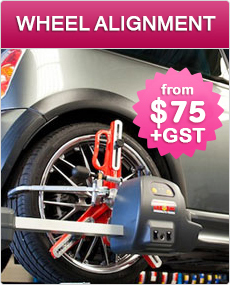 By putting tyres on a misaligned car, you’re simply wasting money. Once you have a new set of performance tyres on your car, remember that they’re new! They need to be broken in. After coming straight from the factory, they’ll have less grip than normal, so take it easy for the first 500 kilometres or so, and don’t push them on sharp corners. Be aware that you may have longer braking distances, especially in wet conditions. When it comes to performance tyres in Auckland, mechanics don’t always know their stuff. You need to see a specialist, and we’re the guys to talk to. Keeping your performance tyres in good condition is not only safer, but will save you money in the long run. Make sure you maintain their pressure, and regularly rotate your tyres- Auckland needs fewer accidents! We have years of experience and a long list of satisfied clients behind us. Our reputation is important to us, and we like to think for performance tyres in Auckland, no one is better to talk to. Call us today for a chat or advice. For all types of car tyres, come see us! If you’re interested in cars, or know anything about tyres, then you’ll have noticed that performance tyres have become quite popular in recent years. Car tyres that were designed and made for professional races are now being produced for the average consumer. If you’re a car enthusiast looking for high quality performance car tyres in Auckland, professionals Tyre Girl is the place to go! The type of car tyre you choose is obviously very important, as your tyres are the only link between the road and your vehicle. No matter how finely tuned your vehicle is, the overall performance of your car will ultimately depend on your choice of tyres. Remember, not all car tyres are created equal. Performance tyres are specially designed and manufactured to have a tougher side wall with a lower profile. They also have large treads for a better grip of the road, and in some cases, a nylon cap over the steel belts in order to hold the tyre together at high speeds. The question you should ask yourself is; Do I need performance tyres on my car? Obviously, simply by being a better product, performance tyres will do a better job on any car. But they can be expensive. If you’re interested in cars, then you’ll not have to ask yourself this question, you’ll already know the answer. For those who haven’t the in depth knowledge of cars, then you need to ask yourself a couple of questions before purchase. Questions like how often do you drive? Are your journeys usually long distance? Do you tend to drive faster because you’re on the motorway more often? For help with these questions, or anything else related to car tyres in Auckland, give us a call. 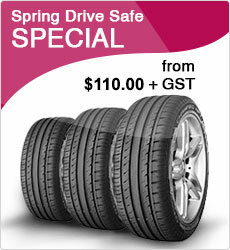 For the best car tyres in Auckland, come see us. We have the experience, knowledge, and professionalism to help you with any questions or problems you may have. If you’re looking for a female mechanic, call us! If you’re looking for a female mechanic, then you’ve found Tyre Girl! Tyre Girl is an independently owned and run tyre shop situated in Onehunga Auckland, specialising in Tyres and Tyre Service. The two female owners Annie Tuck and Doreen Gibbs also own Mayne Automotive Onehunga. This means that you can treat the place as a one stop shop for all your vehicle needs, or if you’re a lady who is looking for a female mechanic. Annie and Doreen wanted to try and “feminise” the tyre industry and hence the name Tyre Girl. Tyres are usually thought of as those black dirty bits of rubber the car rides on but we wanted to develop the business as well as educate car owners using a fresh approach to tyres. Issues such as tyre maintenance and tyre recycling are very important. Many women find servicing their cars intimidating, even when just bringing it in for a WoF, but never fear, Tyre Girl is here! Our service is second to none and our highly experienced and motivated staff will happily work with you giving you the best tyre advice for the best price. As the mechanical repair workshops are part of the nationwide Auto Super Shoppe Group which represent NZ’s Premium Automotive Repairers , this means that our collective buying power for Tyres can be passed on to you. We are not limited to any particular brand of tyre so if it’s something you want especially then we can stock it for you. However on the shelf here at Tyre Girl we stock some great brands that will surely satisfy your driving needs around Auckland and further afield. Each person’s needs are individually considered before our friendly staff will select the tyres for your vehicle. So if you are looking for a female mechanic, or Tyres and Wheels, then you’ve come to the right place. If you’re looking for performance tyres in Auckland, then come see Davy Glenburn. We can help you with anything you need, be it advice or mechanical issues. Below are things to consider when buying tyres. Do you actually need new tyres? Have a good look at your tyres before you do anything. Are the treads wore down? The sidewalls cracked, or are the bulging or discoloured? Then it’s probably time for a new set. Even if they’re showing none of these signs, but are over 10 years old, then you should replace them, as rubber deteriorates when exposed to oxygen. Make sure the problem isn’t your car. If one set of tyres is wearing our faster than the other, then check your vehicle for suspension or alignment problems. Check the inside or outside of the tyres to make sure the wear is evenly spread. Putting new performance tyres on a misaligned car is simply a waste of money. Here at Tyre Girl, we will give you an assessment of your car before you buy new tyres. Your car’s mechanics are designed to work with a matching set of tyres. It’s tempting to just buy new performance tyres in Auckland one by one as needed, but it’s not only more economical in the long run, but also safer to buy a matching full set. When buying new tyres, don’t forget about the spare hiding in your boot. Have your mechanic inspect it, and if necessary, replace it, ideally with the same brand you’ve got on the car at the moment. Make sure you break your new performance tyres in. There’s still a residue left on the tyres from the manufacturing process, and this can possibly have less grip than expected. Break them in for the first 500 Km or so before pushing them on hard corners, and expect longer braking distances just to be sure, especially in wet conditions. Keeping your new performance tyres maintained will not only make them last longer, but will get you more Kms per litre. Make sure you maintain the air pressure and you should rotate your tyres every time you change your oil, even if they don’t look like they need it! So if you need performance tyres in Auckland, give us a call! You may be surprised to learn that most families will spend more on fuel for their cars than they do on energy bills at home. The easiest way of course to bring these bills down is to stop driving as much. It’s a nice idea to take public transport or walk, but we all know sometimes that’s just not practical. If you can’t cut down on the amount you use your car, there are other ways to reduce your fuel costs. By investing in a fuel-efficient vehicle, genuinely thinking about the way in which you drive, and using bio-fuels, all reduce emissions and will save you money in the long term. It’s always a surprise to people just how much of a difference tyres make to fuel economy. Don’t forget, tyres are your main point of contact with the road, and if they’re not performing at peak efficiency, then your vehicle isn’t either. Always check your tyres pressure to make sure they’re not over or under inflated. Tyres pressurised at the correct level are not only safer, but will get you further per tank. This means less time between refills, saving you money and helping the environment. The EECA has been working with New Zealand tyre distributors to clearly mark new tyres with a stamp of approval. This will allow you to easily see which tyres are better for you and your fuel bill. ENERGYWISE approved tyres meet ENERGYWISE standards for both fuel efficiency and braking in the wet. ENERGYWISE approved tyres will save you fuel and perform when safety really counts. If you’re wondering just how efficient your car is compared to others, then check out this cool little app on the Government’s energy saver website. Just click here. Michelin Tyres are the world’s largest tyre manufacturers. Founded in 1889 in the town of Clermont-Ferrand in France, by two brothers, the company now has 133,400 outlets world wide! André Michelin and his brother Édouard ran a rubber factory in Clermont-Ferrand and one day a cyclist pulled up at the factory with a tyre that needed repaired. Because the tyre was glued to the rim (as was normal in those days), it took over three hours to remove and repair it. Édouard realises that this is a ridiculous situation and starts designing a pneumatic tyre that is detachable from the rim of the bicycle. Once designed and built, the Brothers give it to Charles Terront who wins the Paris–Brest–Paris race, the world’s first long distance cycle race in 1891, giving it a spectacular introduction to the public. The following year, the brothers organise a race between the town and Paris, and scatter nails across the road, showing that a puncture in their tyres is no big deal. Then in 1895, the Michelin Brothers build and race The Éclair, which becomes the first automobile to use pneumatic tyres. Another landmark comes four years later in 1899 when the 100kph barrier is broken by Jamais Contende a car that runs on Michelin Tyres. This was just the beginning of the Michelin Company. Over the next hundred years they light the way by constantly inventing new technologies, reinventing old ones and building a safer and more sustainable tyre. From motorbikes and Formula 1 cars to Jet Fighters and the Space Shuttle, Michelin tyres have been a by word for innovation and quality. So if you’re looking for a set of new tyres, then call into Tyre Girl today, or just give us a ring if you have any queries about your car or the tyres you should use. We’re always happy to help. For tyres in Onehunga, we’re your girls! If you’re interested in cars, or know anything about tyres, then you’ll have noticed that performance tyres have become quite popular in recent years. Car tyres that were designed and made for professional races are now being produced for the average consumer. If you’re a car enthusiast looking for high quality performance car tyres in Onehunga, professionals Tyre Girl is the place to go! For help with these questions, or anything else related to car tyres in Onehunga, give us a call. For the best car tyres in Onehunga, come see us. We have the experience, knowledge, and professionalism to help you with any questions or problems you may have. For performance tyres give Tyre Girl a call! If you’re looking at performance tyres Auckland mechanics don’t always know their stuff. You need to see a specialists, and we’re the guys to talk to. Keeping your performance tyres in good condition is not only safer, but will save you money in the long run. Make sure you maintain their pressure, and regularly rotate your tyres- Auckland needs less accidents! We have years of experience and a long list of satisfied clients behind us. Our reputation is important to us, and we like to think for performance tyres Auckland has no one better to talk to. Call us today for a chat or advice. Pirelli Tyres- stocked by Tyre Girl! Pirelli in Italy is only the fifth largest tyre manufacturer in the world. Even so, the brand is considered the undisputed leader in high end and performance tyres. Pirelli tyres excel in performance and endurance. Pirelli’s Ultra High Performance Technology has become the benchmark for quality tyres all around the world. Pirelli are world renowned for their racing tyres, with many of the world’s greatest racing champions using Pirelli. For ten years Pirelli has been the sole supplier of the Superbike World Championship: the longest running control tyre supplier in motoring history. In 2013 Pirelli used 17 inch tyres for the first time during the World Superbike Championship. With even higher performance thanks to new profiles, these ground breaking tyres featured new side walls & increased patch area, which guarantee improved stability and cornering as well as an increase in performance for the duration of the race. This new tyre contains a softer range of compounds which are better suited to the characteristics of the new 17-inch tyres and the Diablo Wet grooved tyre with intermediate compound totally redesigned and which could become crucial to wet race strategy. It’s a well known fact that when it comes to performance and reliability, Pirelli tyres are right at the top of the list. Developed using the most advanced technology and tested in the most challenging environments of motorsport, you can be sure Pirelli will keep you on the road. Pirelli has always had a huge commitment research and development, to optimise their products for performance, safety and environmental impact. When you choose Pirelli tyres you’re choosing a commitment and legacy of excellence. Pirelli Ultra High Performance tyres are just that! With an asymmetric thread pattern for improved braking and overall performance, these tyres excel in wet conditions, delivering comfort and performance. Pirelli tyres are among the most durable and wear-and-tear resistant products on the market. Whether you use them for road or track use, they’ll keep gripping until it’s time to replace them. We here at Tyre Girls stock a comprehensive range of Pirelli tyres, and we can give you expert advice on how to make the right choice. Whether you’re driving a high-performance street car, or you’re looking for aggressive tyres that perform off-road, we can help you get the right match! For more information on prices, fitting and maintenance of Pirelli tyres, contact us today. A female mechanic tells her story! Check out this inspirational story of a female mechanic from Ireland! Go ye girl ye! It’s a familiar back story for many mechanics: a childhood spent tinkering in the garden with dad, taking apart cars, engines and toys and putting them back together again. A love of figuring out how things work typically begins long before a career. The only thing not typical about this particular story though, is that the child tinkering in the back garden is not a boy, but a girl. The young Jennifer Tobin was considered to be unusual for her choice of “masculine” job, and difficulties, however minimal, still arose because of her gender. Tobin’s family recognised that her choice of career was unusual but they always encouraged her to follow her dream. She has two sisters, one who works with special needs children, following in the career path of her mother and the other is a full-time mum. Tobin takes after her father though, who is a motor mechanic and helicopter technician and always encouraged her interest in machines. “He was always out in the garden fixing things, and I was always there beside him, asking questions and trying to help” explains Tobin. “It all went from there really. I wanted to leave school in fourth year and start an apprenticeship but he made me finish my Leaving Cert, which was obviously the right decision”. But school wasn’t always easy for Tobin. “Everyone would laugh at me in class. It was something that they’d never really heard of, a girl wanting to become a mechanic. But I was just me”. Tobin spent the next four years completing her seven phases of apprenticeship between here, Ballyfermot, Dundalk and Cork Training Centres. She was the only female mechanic in all the training centres she attended, and not once did she meet another woman training for the same job. This didn’t really surprise Tobin: “I thought maybe there might be one other girl. But no, just me and the lads”. When asked if she was treated differently she says “You would see the lads think I couldn’t do it. They had a girly stereotype in their head for sure. I often felt they were wondering what I was doing there at all”. At 22, Tobin had received her qualification when the recession hit. “It was awful timing. White and Delahuntys couldn’t keep me on and that was that. The motor industry was hit and I couldn’t find a job as a motor mechanic anywhere.” Tobin left the trade she had worked so hard to get into and for a few years worked in retail. She was discouraged and says “I didn’t even know if I would get back into it at all. I kept asking myself if it was what I really wanted.” Eventually she decided it was and with the help of a Jobs Bridge programme went back to White and Delahunty, but in a different position.